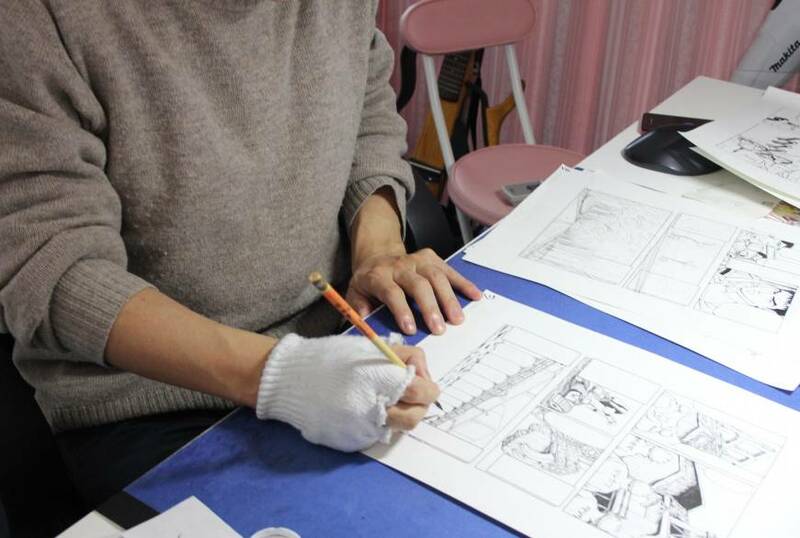 A manga artist who has been involved in decommissioning work at the disaster-hit Fukushima No. 1 nuclear plant has highlighted the need for effective deployment of skilled workers in parts of the premises that still have high radiation levels. Kazuto Tatsuta, 51, also said in a recent interview that he feels progress has been made since the Tokyo Electric Power Co. complex suffered triple meltdowns after the March 11, 2011 quake and tsunami disaster in an operation that will take decades. “It is not hard to collect a large number of ordinary workers, but lower wages resulting from multilayered (subcontractors) is a problem that could, in severely bad cases, have an impact on their motivation,” Tatsuta said, noting that about 7,000 people work at the plant every day. Tatsuta, who uses a pen name for fear of being prevented from working at the plant again, commuted to the complex intermittently between June 2012 and November 2014 to engage in such work as managing rest stations for other workers, plumbing within the reactor 3 building and taking care of robots operating within the units. 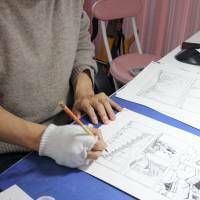 His manga stories “Ichiefu” (“1F”), published by Kodansha Ltd., portray the ordinary lives and attitudes of workers at the complex. For example, they were irritated by itchy noses as a result of wearing full face masks and were more afraid of the heat in summer than of radiation. Ichiefu is an abbreviation for the Fukushima No. 1 nuclear plant commonly used among local people and those related to the industry. His pay started at ¥8,000 (about $70) a day working in the rest houses, and rose to ¥20,000 per day for work within the reactor buildings. His three-volume book series depicts workers from all across Japan having to bear their own living costs in uncomfortable lodgings before work is officially allocated, or not receiving any pay when accidents or other problems cause operations at the plant to be abruptly suspended. Measures against radiation, including decontamination of such areas and the setting up of protective barriers around them, are essential, he said. Ahead of the fifth anniversary of the nuclear crisis, many media outlets were allowed to enter the premises to report on the current situation at the plant. “A big development is that workers are able to move around (wide ares of the) premises without full face masks,” said Tatsuta, having seen photos in a newspaper. Currently, people can work with masks that cover only half their face in about 90 percent of the premises, except for areas around the stricken reactors. The media tend to report that reconstruction of the disaster-hit area is still only halfway done. But Tatsuta called on readers to focus on the things that are progressing, albeit little by little. Within the Fukushima complex, the completion of a frozen underground wall to prevent radioactive water from accumulating further and the piling up of around 1,000 tanks to store processed contaminated water are indications of the significant progress made since Tatsuta left 1F, he said, though admitting there was still considerable work to be done. “Ichiefu” features ordinary middle-aged men who take naps while waiting for their colleagues to finish their jobs, chat cheerfully with their co-workers or play pachinko in their free time. “Some people viewed us as heroes, saying ‘Thank you very much on behalf of Japan and the world.’ Others felt very sorry for us, saying ‘You were treated like slaves in dangerous working conditions.’ But I want to say that neither of these views is correct. I’d like readers to understand that to some extent. Tatsuta, who describes himself as a cartoonist who doesn’t sell well, was careful not to indicate his own political views on the government’s nuclear policies for fear that this would make his work seem biased. “I neither agree nor disagree with the restart of nuclear plants, although I am frequently asked that question,” he said. Having made its debut in a weekly magazine in October 2013, some 350,000 copies of “Ichiefu” have now been printed in Japan. It has also hit the shelves in Taiwan, with French, Spanish, German and Italian versions being published soon. But he has had no chance to work at the complex since December 2014, and sometimes suspects that because Tepco or one of its subcontractors has discovered his identity as the author of the manga series, he is unable to return there. Tatsuta is currently working on a manga story for an upcoming book on the decommissioning of the Fukushima plant co-authored by Hiroshi Kainuma, a Fukushima-born sociologist.